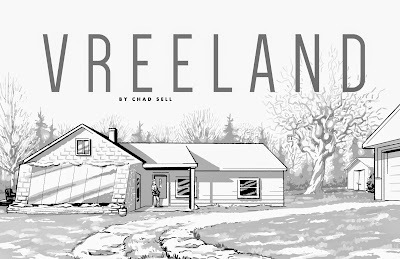 Native Midwesterner and Chicago-based cartoonist Chad Sell has just launched an autobiographical webcomic set in Ann Arbor. 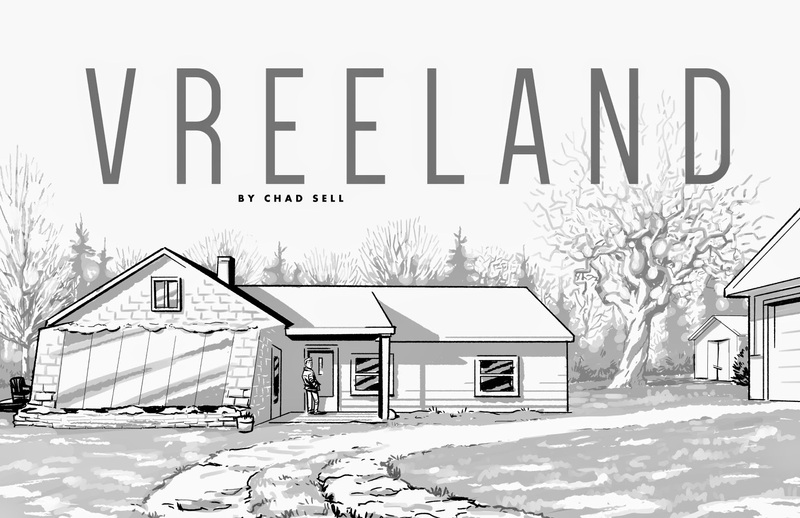 Vreeland starts with Chad, a recent college graduate, moving to Ann Arbor to secretly help his grandparents who have been living together in a house out on Vreeland Road in Superior Township for 60 years. You can read more about the comic here. 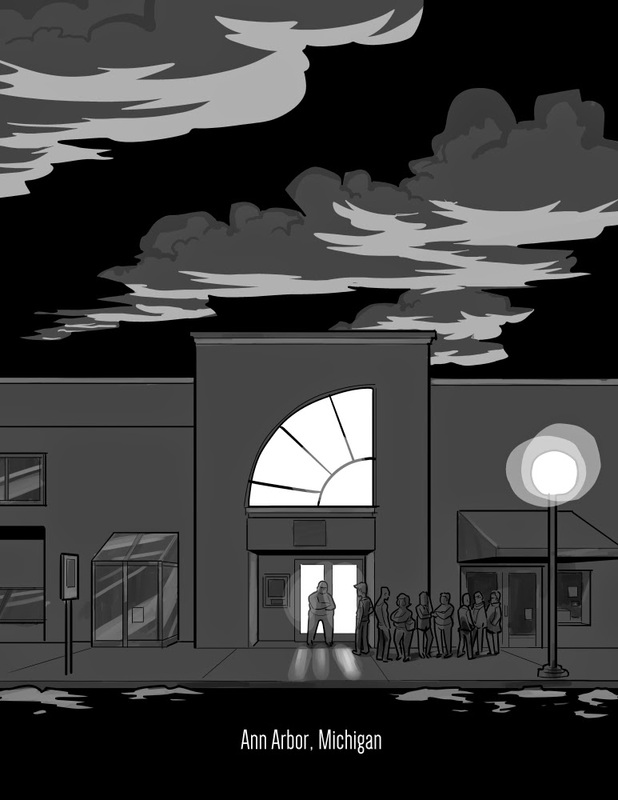 At this point, Chad has finished Chapter 1 and will be posting new content every Tuesday and Saturday. I really like the style and pace of the comic. Can't wait until Saturday to see what comes next. This looks cool! Thanks for sharing! !